Early signs of photoaging present a range of visible skin concerns: dullness, discolouration, dehydration, fine lines and a loss of natural elasticity in skin. While these show up at different intensities, they have a multiplicative effect, and sum up to create a prematurely-aged appearance. Metacell Renewal B3 is formulated with a high concentration of multi-corrective actives to address the appearance of early signs of photoaging. This comprehensive corrective emulsion is formulated with niacinamide and a tightening tri-peptide concentrate in an advanced delivery system for proven penetration in skin. 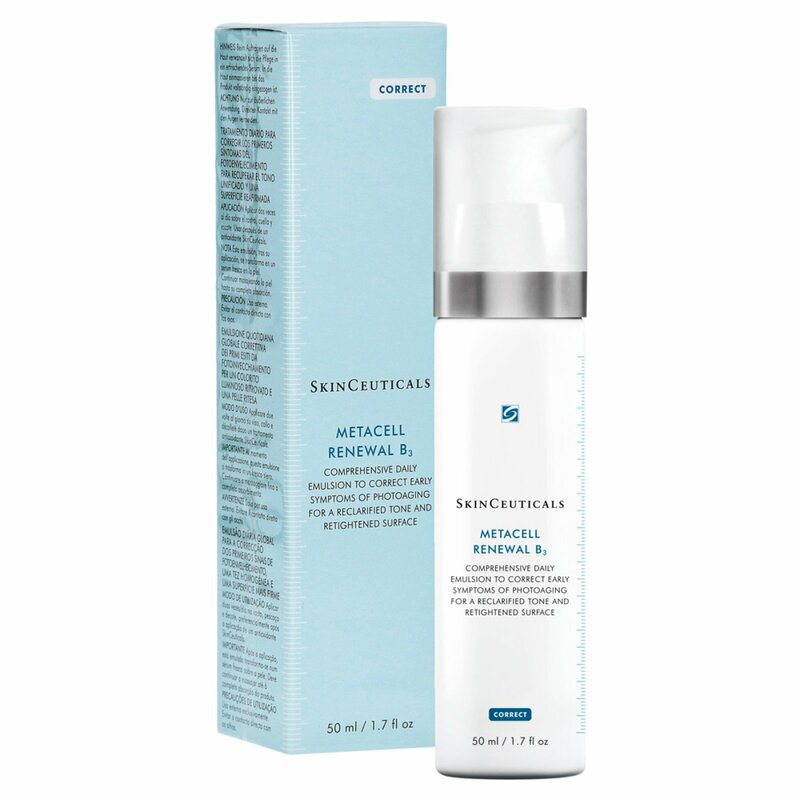 Metacell Renewal B3 is clinically shown to increase cell turnover, boost hydration volume, reclarify tone and retighten skin’s surface. Use: Massage a thin, even layer of Metacell Renewal B3 onto the entire face, neck, and chest twice daily.